Glisten Plus capsules are powerful herbal blood cleanser pills that purify blood naturally and provide optimum health and energy levels. Buy Glisten Plus capsules online in India and gain higher energy and better immunity. Body supplies nutrition and oxygen through blood to all parts of the body. Nutrition is obtained from diet a person eats, if diet has higher amount of harmful agents in the form of acids, compounds and chemicals these also get supplied to organs along with oxygen and nutrition. Liver is responsible for cleaning blood and removing toxins and harmful chemicals present in it so that blood supply only nutrition and no toxins. If toxin load is too high in blood even liver becomes toxic and blood has higher load of toxins which damages organs of the body. This damage to organs shows as poor health and weak immunity in a short time. 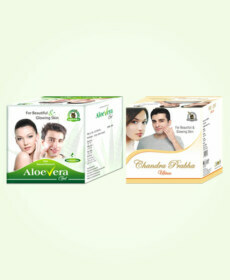 Glisten Plus capsules are wonderful herbal blood cleanser pills which resolve the problem in a short time. This herbal blood cleanser supplement reduce toxicity in blood and help body in recovering damages caused to organs by toxins faster to provide optimum health and energy levels. Glisten Plus capsules possess herbs which nullify toxins present in blood due to their powerful purgative properties; these are also very effective against bacteria and fungi floating in blood and prevent them from causing internal infections. These improve digestion and regular bowel movements to flush toxins out of guts and digestive tract. These herbal blood cleanser supplements cleanse colon and keep it healthy for smooth defecation and clean digestive system. Some of the herbs used in these herbal blood cleanser pills are highly effective in enhancing liver functions, these improve liver’s capacity to purify blood and reverse conditions like fatty liver or liver enlargement to keep blood purified. These supplements also enhance kidney functions and lower toxicity level in body and blood considerably in a short time. Glisten Plus capsules possess herbal ingredients like Guduchi, Amla, Chalmeri, Majishtha, Ksheerika etc. which provide effective blood purification to improve health. These herbs are sources of anti-toxin and antioxidants which inhibit activities of these damaging compounds and protect organs and tissues of the body. The properties of these herbs enhance body’s own blood purification mechanism which provides long-lasting relief form the problem. The effects of these supplements are boon for optimum health, higher energy, better immunity and sound mental health. These treat problems like fatigue, lethargy and general debility quickly. 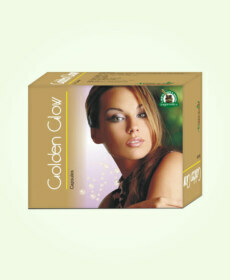 Glisten Plus capsules are purely herbal in nature and can be taken without any prescription. These ayurvedic blood cleanser pills are natural in their effects which make them completely free of side effects. Maerua arenaria (Murva), Bambusa arundinacea (Kshreerika), Fumaria officinalis (Pitpapda), Phyllanthus distichus (Chalmeri), Tinospora cordifolia (Guduchi), Phyllanthus emblica (Amla), Rubia cordifolia (Manjistha), Carthamus tinctorius (Kasumba), Pongamia glabra (Karanj), Cuscuta reflexa (Amar bel), Tylophora asthmatica (Antamul) and Smilax China (Chobchini). Consume one capsule thrice a day with water for 3 to 4 months in a regular manner to achieve radiant and clear skin in a natural and easy manner. It improved my digestion and strengthened my immunity. I feel full of energy almost whole day. These pills really helped me to build my stamina for day-to-day tasks. I am thankful to my friend who suggested me this product. These herbs are safe for consumption and will definitely show positive results. Worked best for me. Awesome product.